The SP5055 is a single chip frequency synthesiser designed for TV tuning systems. Control data is entered into the standard I2C BUS format. 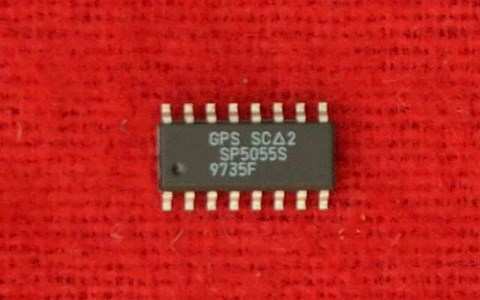 The device contains four addressable current limited outputs and four addressable Bi-Directional open collector ports one of which is a three Bit ADC. The information on these ports can be read via the I2C BUS. The device has one fixed I2C BUS address and three programmable addresses, programmed by applying a specific input voltage to one of the current limited outputs. This enables two or more synthesisers to be used in a system. The device is available in two variants: the SP5055 in 18 lead plastic DIL (DP18) and the SP5055S in 16-lead miniature plastic DIL (MP16).